In Unit B of QC Design School’s Interior Decorating Course, you’ll discover basic and modern design materials and explore detailed descriptions and usages for each. 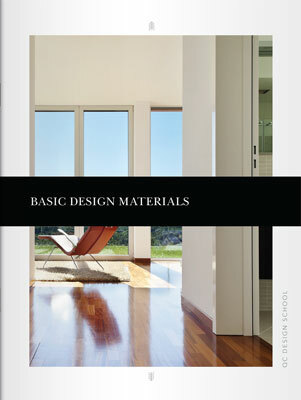 You’ll learn how to select design materials that suit both the functional and aesthetic demands of your designs. By the end of this unit, you’ll know how to identify classic European design styles and their characteristics, in addition to the historical styles of North America and a selection of popular styles from around the world. 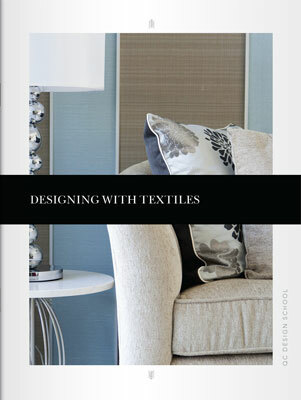 Explore the exciting world of textiles and learn how to make the right textile choices for every client’s space. 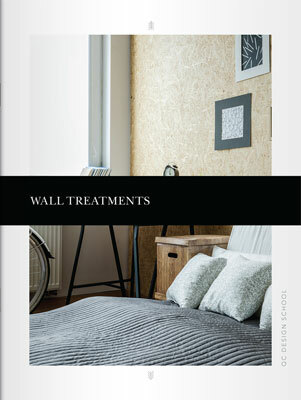 Learn about a wide range of wall treatments and their effects on different rooms. Art and design go hand-in-hand. Just as an artist uses paint to create masterpieces, designers must choose the appropriate building materials for each of their interior decorating jobs. Discover the indoor environment and learn how to properly use hardwood, veneers, plywood and laminate. Explore the various types of wood finishes, as well as the place of moldings and paneling in your clients’ interior decor plans. For both exterior and interior spaces, you’ll learn how to use stone, brick, plaster and ceramic to suit your clients’ tastes and styles. 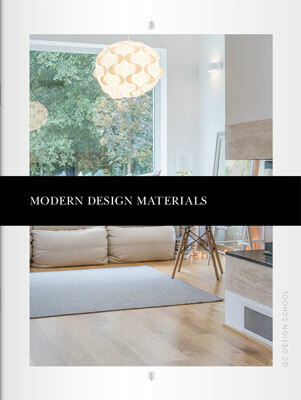 Learn how to incorporate exciting modern home design materials such as glass, concrete and metal into a space. Delve into detailed descriptions of each material and how they can be best used by interior decorators. Discover how to creatively use glass finishes, as well as the key properties of certain metals such as brass, silver and gold. You’ll conclude this section with an in-depth look at common plastics and their uses in modern home design. An interior decorator’s design process needs to include a knowledge of classic styles that can be drawn upon for inspiration. Beginning with the medieval Gothic style and moving through to nineteenth-century Rococo styles, discover how modern home design has taken many elements from classic European design styles. Each design period is accompanied by a guide to help recreate the mood, scale, colors, furniture and distinguishing features of the style in your clients’ homes. By the end of this section you’ll be able to create historical color palettes and select furniture and accessories inspired by historical designs. Discover the impact that the right textiles can have on a home interior and learn how to incorporate them into any room. Study a list of selection criteria for textiles that includes functional, budgetary and visual considerations, and use a provided textile checklist to ensure you’ve made the right choices. Learn how to find textile suppliers and build business relationships, and how to collect and use textile swatches to generate home design ideas. Delve into different types of fibres, textile finishes and rugs. Detailed information on patterns will teach you all about the principles behind mixing prints and patterns to create vibrant, dynamic spaces. Walls act as the backdrop for modern home designs, and are the basic defining element in every space. Explore various wall treatments such as fabric, plaster and wallpaper, and discover the relationship between art and design. Learn about different speciality paint techniques such as sponging, ragging, crackling and spattering, and their uses in custom interiors. Discover the wide range of wallpaper varieties available to you and learn about the process of selecting, buying and hanging wallpaper. Combined with the knowledge of color theory and pattern mixing you’ve gained, you’ll be able to develop wall treatments to visually expand, lighten and enhance any space. 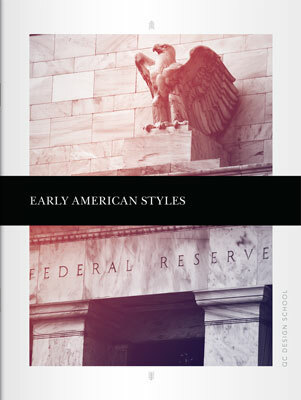 The section on early American design styles covers the most common styles from the Early Colonial era all the way to the Victorian era. 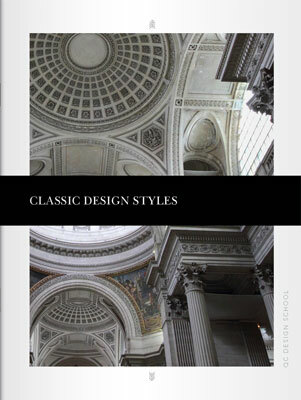 Discover the classic American Georgian and American Federal styles and travel through the striking interiors of the Greek and Gothic Revival eras for an in-depth look at the principles that influenced these unique styles. Learn to create color palettes for each of these eras and identify the distinct furnishings, materials and accessories that characterized these styles. You’ll use this knowledge to build historically inspired styles or even to create historical reproductions for historical homes and buildings. 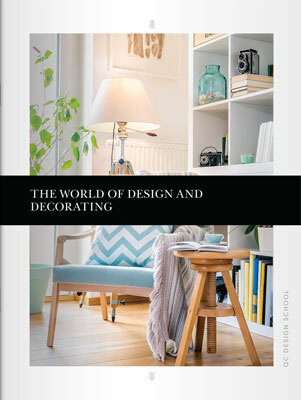 This section will take you on an interior decorating journey across the world as you explore the design styles unique to China, Japan, Mexico and more. Discover the dazzling, intricate artistry that characterizes Islamic designs as well as the simple, minimalist aesthetic common to Scandinavian countries. 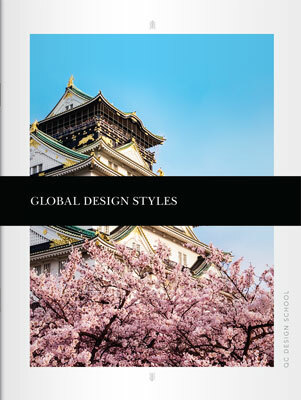 Learn how all of these international styles have influenced current trends in the design industry. Throughout this section, style guides provide quick design summaries that will help you to incorporate elements of these stunning global styles in your own work.